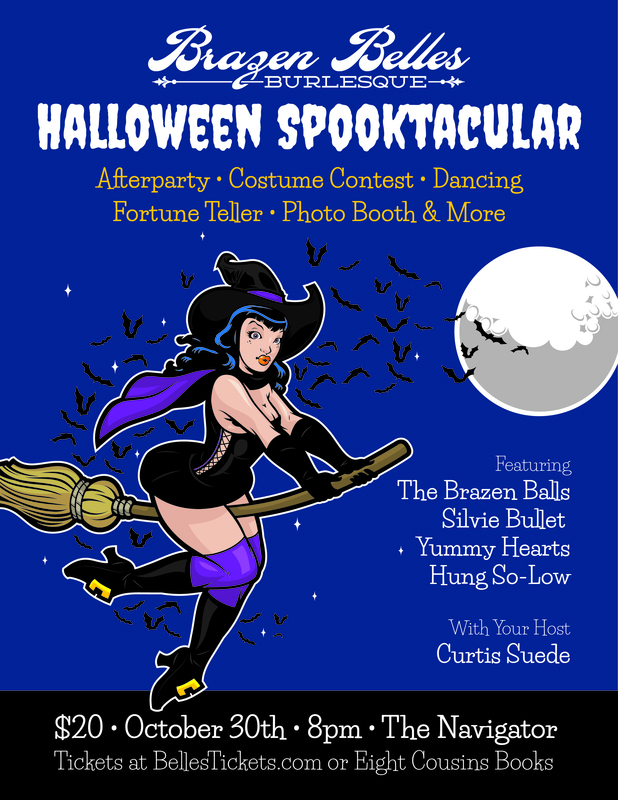 Join the Belles for their 3rd annual Halloween Spooktacular! Featuring The Brazen Balls, Silvie Bullet, Yummy Hearts and Hung So- Low. Come for the Show and stay for the Afterparty! Its going to be a killer time with tricks and treats for all. Dancing, costume contest, Fortune Teller, photobooth and more. Don’t forget your Costume!